Gabriel (Ashton Sanders) is a teenage orphan growing up on the streets of Chicago in 2026, 9 years following the collapse of resistance to an alien power that seized control of all governments on Earth. The aliens are now only known as the Legislators. As Gabriel looks for ways to join the Phoenix, a new resistance movement, he is watched by Commander Mulligan (John Goodman), a police officer who is responsible for rooting out the resistance in the city. Meanwhile a major Phoenix terror operation is being undertaken. 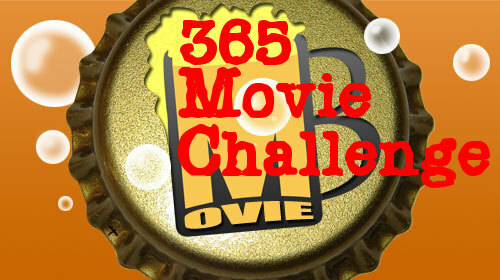 And all these guys are taking part, but I don’t have all day to write a synopsis. Director Rupert Wyatt has crafted a deeply cynical and politically driven view of what a post-alien-invasion America might look like. The gap in income and opportunities between rich and poor is widened not dissimilarly from current trends, but with a decidedly more fantastical cause. This is a film that relies heavily on world building, and that is accomplished brilliantly, with Chicago depicted as a walled-in metropolis surrounded by the vestiges of the human population trying to decide between collaboration or resistance. The aliens are seldom shown, and when they are it is in darkly lit conditions, which was probably both a budgetary and artistic decision. The Lovecraftian horrors they represent are palpable and the few times we see them are all we need to tell us that they’re a real threat. The finale of the movie zigzags all over the map, leading to a big reveal that is paradoxically both very hard to buy but also impossible to not have guessed from very early on. Part of the problem is in the film’s insistence on following a multitude of characters, so many that there isn’t time to tell us anything about them. The glut of points of view leaves the viewer gasping for air from time to time, desperate for something to hang onto. The viewer knows that a big twist is coming, and without any well developed characters, it becomes increasingly clear that the answer is going to be the biggest celebrity name on the cast list. 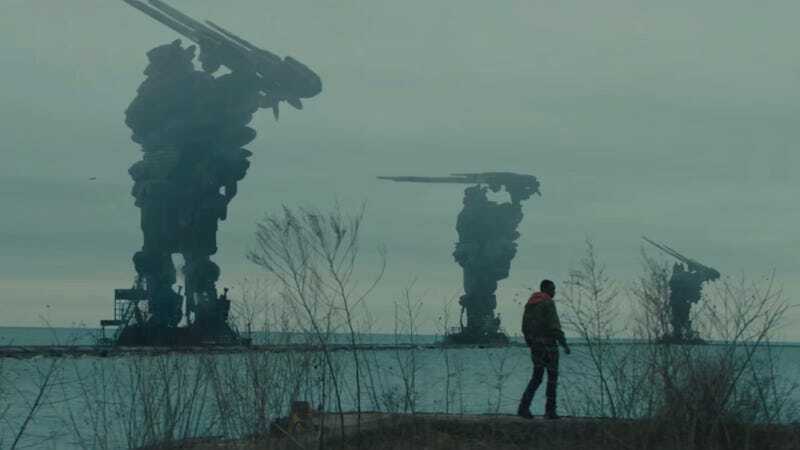 As often occurs with high concept Science Fiction, sometimes Captive State aims for a larger scale than it seems to be capable of meeting. There is a huge story packed into this 116 minute runtime, so much that it sacrifices character development of all but its primary leads. This is a story with enough twists and turns for a 6 episode miniseries on Netflix. 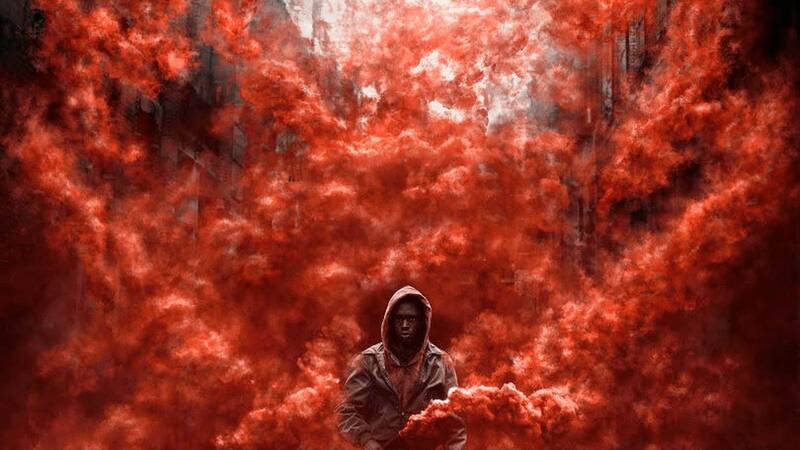 I wonder if there is a longer cut somewhere out there, and if so, does that explain the lack of the poster-promised badass red smoke? 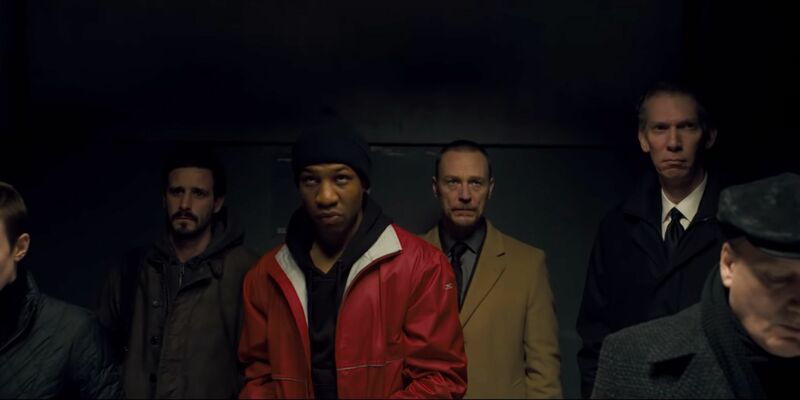 With some not so subtle (but totally relevant) political commentary and a unique spin in the alien-invasion sci-fi drama web, Captive State mostly succeeds in delivering on its “what if” scenario.